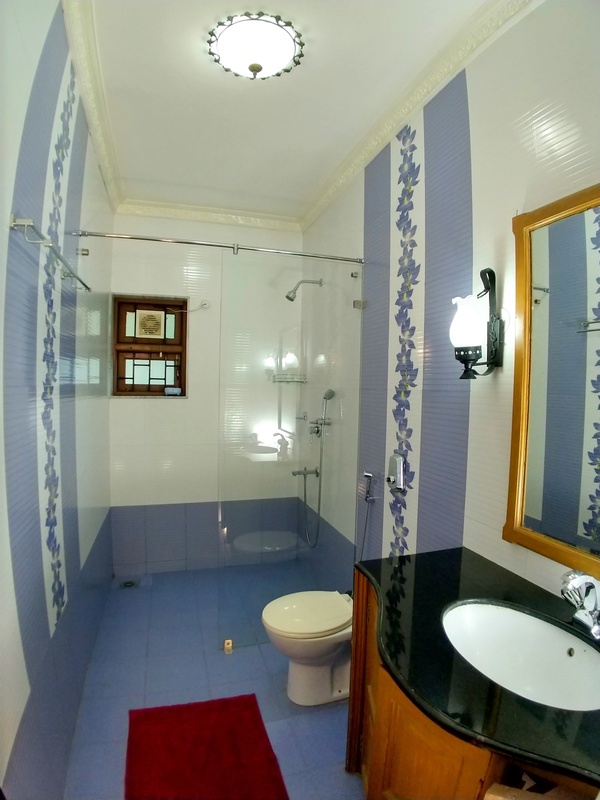 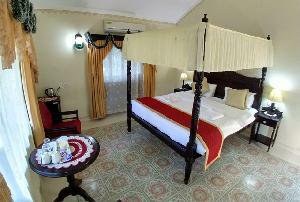 The decor in the Superior room has been carefully selected and is unique to each room. 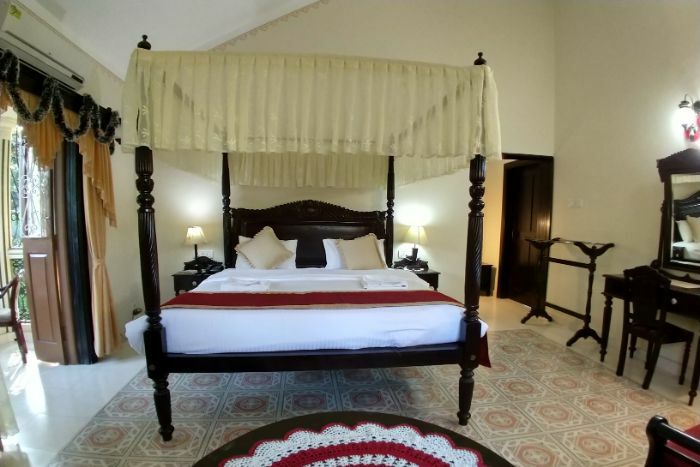 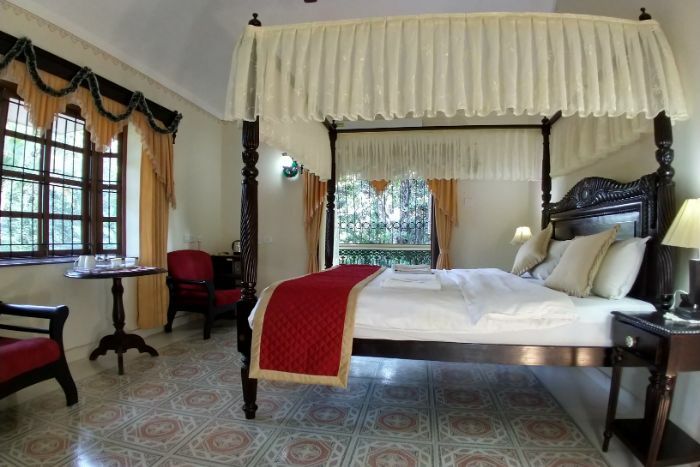 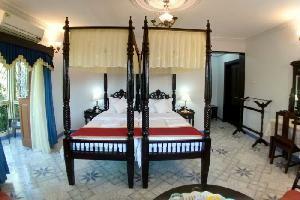 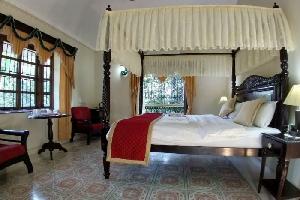 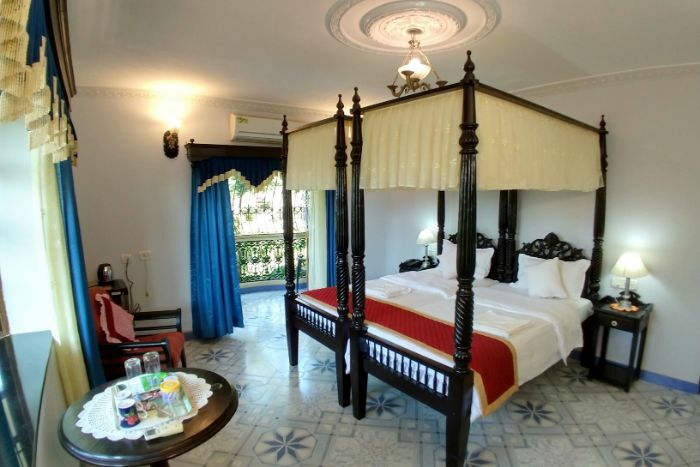 The handpicked furniture and fabric set a warm ambience to the antique Goan - Portuguese theme. 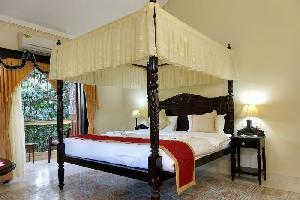 The four poster king-sized beds are sure to offer a very relaxed and cosy sleep, while the balcony offers a great view of the garden to help you unwind. Please note that all guests are required to produce a valid photo identification upon check-in. 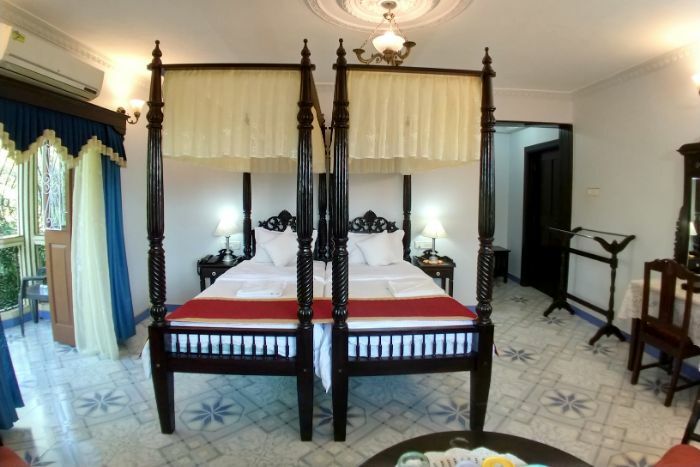 Our check-in time is at 12pm and checkout is at 11am. 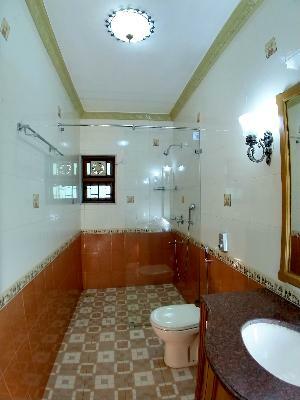 We have no affiliation with any other hotel bearing the name Palm Grove Cottages or anything similar.